One of the most versatile cross-arts collaborators in poetry today, working with artists, musicians, dancers, film makers and puppeteers, as well as other writers. Philip sees collaboration not as the opposite of the individual creative voice but as a way to find and deepen it. 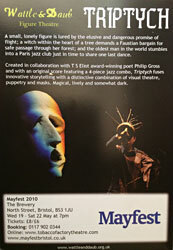 Coming to South Wales, TS Eliot-Prize winning poet Philip Gross lived on the banks of the River Taff near Quakers Yard. Here, his poems and journals from that encounter meet the visual responses of artist Valerie Coffin Price grounded, through walking, in an immediate engagement with place. Together they in-fold past and present landscapes, in a subtle creative conversation with each other's art and ways of seeing, as well as with the river itself. 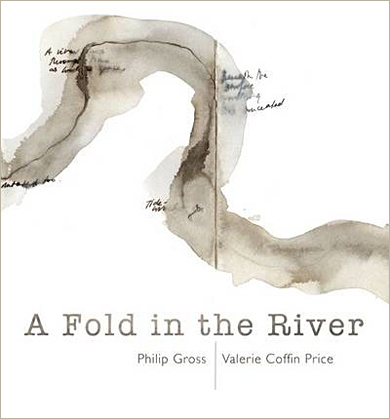 The result is A Fold in the River, a stunning collection of poetry and original artwork. For festival performances: Philip Gross reads from the poems, and then opens out a discussion with Valerie Price about the different ways of seeing artists and writers bring to the world. 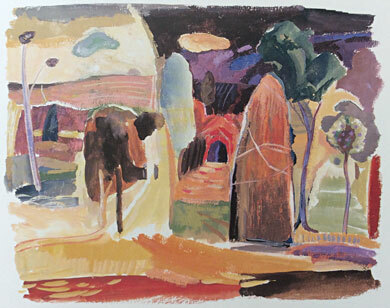 Valerie brings insights from her career as a walking artist, immersed in nature. They can bring a powerpoint presentation of the book's images, subject to facilities, and can also provide an exhibition of the artwork if space permits. ‘Unsurprisingly, the book, is, in itself, a compelling aesthetic object, both in feel and presentation. Price's art work and Gross's poems are combined in riverine and arresting ways that immediately hook the reader. You travel the Taff with both artist and poet, as they bear witness to its many manifestations and the residue of its history. 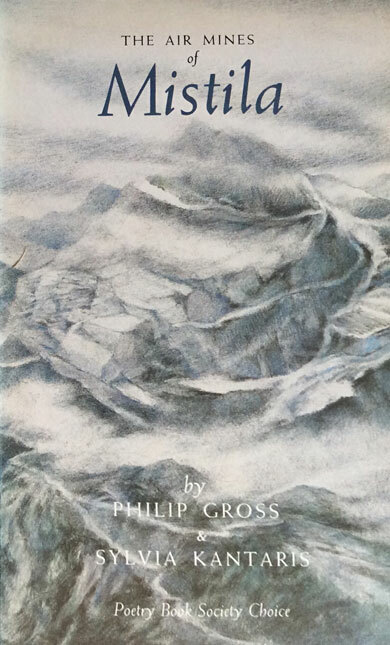 Gross makes an engaging guide in a series of poems that flow from surface to depths and back, linking the origins of the river, its industrial past and its elemental properties. His tone typically intimate, conversational, balancing a philosopher's finesse with wit and precise observation that always delivers its ancient topic in a memorably fresh light. Price's graphics create a sense of linear propulsion, as if you are in a boat, passing through one experience of the river to the next in a shifting equation of light, mood, memory, and cultural trace.’ Review from Wales Arts Review, click to read the whole article. This collaborative work of poems and photographs addresses ideas of perception, revelation and truth. The camera sees differently from the human eye, yet suggests what might be perceived if we could only see more deeply, more imaginatively, than we normally do. Simon Denison uses a pinhole camera to photograph the most mundane of objects — the footings of electricity pylons — and so transfigures them into dark poetic images that release worlds of association. 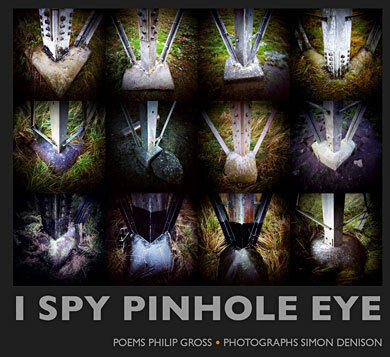 Philip Gross's poems step back inside the eye of the pinhole camera to explore the act of seeing and interpretation, in work that is meditative, playful and profound. Video-soundscape for I Spy Pinhole Eye, video created by Simon Denison, sound design and original sound recordings by Geni Hall-Kenny,Aeolian harp samples courtesy of Greg Joly. Samples of poems by Philip Gross feature voices of Bonnie Hurren, Ross Harvey, Noni Lewis, Margaret Dessallais and Philip Gross. Sound engineering by Gethin John and Mike Assenti. Beautifully illustrated, this book is a collaboration with two fine and very different artists. Questions and suggestions weave round the mysteries of Avebury and Stonehenge. 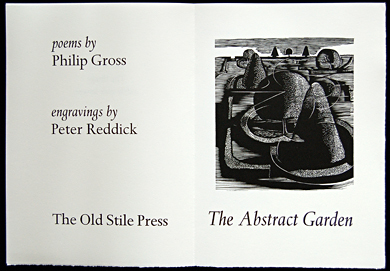 A beautiful hand-crafted limited edition of a specially commissioned collaboration between Philip and a highly respected engraver, the late Peter Reddick, with creative design by Nicolas McDowall of the Old Stile Press. A whirlwind collaboration with poet Sylvia Kantaris produced this haunting and surreal verse fable. It is full of wry lights on the real world and real relationships. With illustrations by Kim Lewis. A Game of Consequences Philip initiated a chain-letter of poems exploring nuclear anxiety 1984-85 — many poets including Peter Redgrove, UA Fanthorpe, Penelope Shuttle... — full version finally published in Envoi magazine, Issue 111, 1995, pages 54-74. 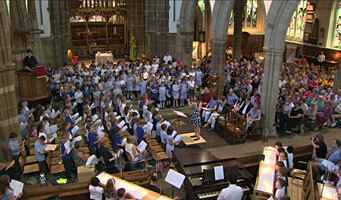 Our Home Addresses: commissioned text set by Benjamin Frank Vaughan for the inauguration of Rowan Williams as Chancellor of the University of South Wales, 2014. 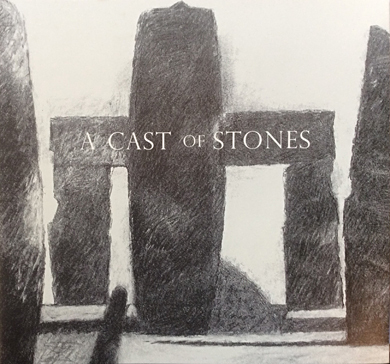 With Vanilla Allsorts — During the 1990s, Philip performed with the improvisatory jazz-based group with John Eaves, Ralf Dorrell and Miranda Bowri, culminating in the performance A Game Of Henge — published with paintings by John Eaves and F.J. Kennedy as A Cast Of Stones (Digging Deeper, 1996). With puppet theatre Performance / adaptation of text The Old Wife's Tale in Triptych, by Wattle and Daub Figure Theatre, first production Plymouth Barbican Theatre, 2009. Stage play Rising Star performed by Show of Strength, Bristol, 1996.